'Myrki Heima’ by Oliver Englafjord is an album that metamorphosed from late-night sonic-sketching, through YouTube beta testing on to an alias-donned/fully-fleshed 13-track body of work… three years in process, ‘Myrki Heima’’s passage to album-hood culminates this July. The by-chance brainchild of Sweden’s Marcus Schössow, ‘Myrki’’s embryonic moment occurred in Iceland, a half decade ago. Blinking ‘Oliver Englafjord’ into existence, it apparently was a trip for Schössow that went far beyond the bounds of the merely inspirational. A citizen of an unidentified Nordic city, Oliver’s life musings visually push through the fourth wall of ‘Myrki Heima’s music. Across a series of five-minute accompanying film shorts, sound-tracked by the album’s audio, Englafjord half-ponders/half-narrates his life, the universe and everything. The meanings of Oliver words are initially cryptic. Only through the four video chapters, framed against the urban, metropolitan and bucolic Nordic locales that accompany ‘Myrki’s release, does his story become clear. 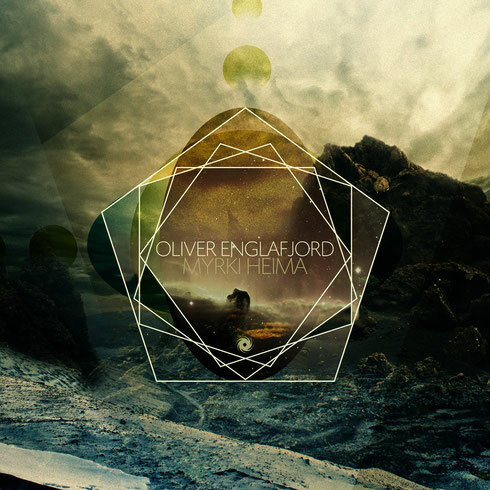 Explaining the genesis of Oliver Englafjord, Marcus says: “I started this project to basically learn about new hardware I had, and to explore what happens if I used it to make music that had no rules. At the time I’d been travelling around Iceland and was inspired by its nature and peacefulness. I started to play this material to a friend of mine and he suggested that I should develop it into a full album. I wasn’t so sure, but I uploaded some masked demos to YouTube, for fun and to see what people – not knowing it was I - would say. “The reactions were overwhelming and it began doing the rounds on the underground blogs and forum boards. So I decided to follow that friend’s suggestion, get on and make this album. It was a natural process, but as a side project, it took three years to complete. No deadlines, no pressure, no one knowing what I was working on and as I say, no rules.